The 130 model is a budget range product with an ABS moulded base , 1 central lock and mounted onto your load rails with the U- bolts supplied. The 130 Model is capable of carrying a 50kg payload suitable for most family holidays. Easily mounted onto rectangular rails or slimline aero bars with u -bolts supplied. The box opens from the right hand side only. 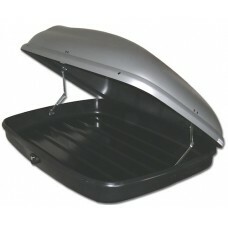 Dual side opening is a featue not available on this box specification. 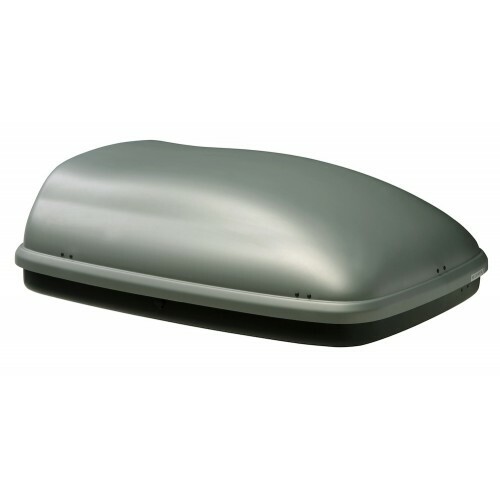 Note: The roof box top is anthracite in colour with a matt black ABS base.